7 p.m. Wednesday, Dec. 5 - Men's Basketball vs. Weber State. It's International Night! Help us recognize campus and local international groups. 4 p.m. Saturday, Dec. 8 - Men's Basketball vs. Long Beach. Free admission for all high school students with ID. Don't miss the fourth annual Baby Race at halftime! 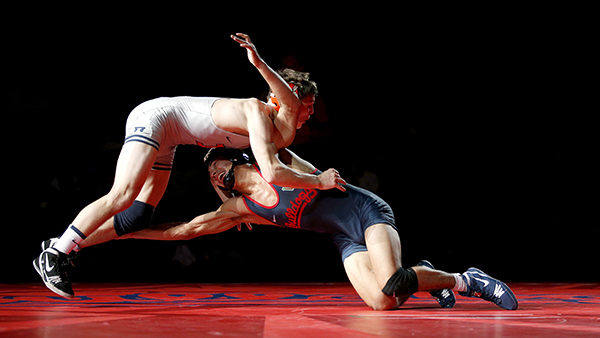 7 p.m. Saturday, Dec. 8 - Wrestling vs. Minnesota. Free admission for all high school students with ID. It's a doubleheader, so your men's basketball ticket or wrestling ticket will get you into both events on Saturday for the price of one.